Here is a darling set of 4 vintage felt wedding bells. 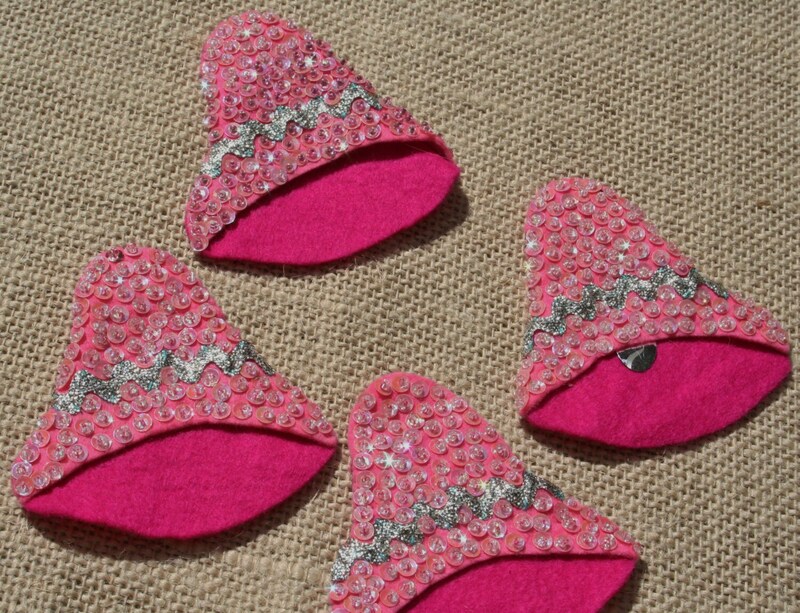 They are bright pink and are covered with iridescent white sequins and some silver rick rack. These are completely sewn by hand - no glue. One bell has a large sequin as the ringer, but the others do not.